Luis Figo was unveiled at Real Madrid on July 24, 2000. He was the best player in the world, set to win the Ballon d'Or, and he had decided to move from Barcelona to their sworn enemy in Madrid. To Barca fans who loved him, he had betrayed their trust and broken their hearts. Figo’s team-mates at Barca—including club captain Pep Guardiola, who is godfather to one of Figo’s daughters—were caught unawares. "He surprised us all," says Francesc Arnau, who played in goal for Barca at the time. "There had been a lot of silence. But it was just the way football is; that’s the way life is. One goes, another comes to replace him." The public in the Catalan city was less philosophical. Barcelona fans went about the place punch-drunk. "People were angry," says Josep Maria Minguella, who co-brokered Figo's move from Sporting Lisbon to Barcelona in 1995, as well as Barca's signings of Diego Maradona and Lionel Messi. "They couldn’t understand. No one explained it to them." A rumour had surfaced a few weeks earlier that Figo had signed a pre-contract agreement with Real Madrid presidential candidate Florentino Perez to join the club if he won election. Figo rubbished the story in the press. "Figo, in order to protect himself said, first, that there was no such contract—that it was lies," says Minguella. "Then he said he was really sorry but that he had fallen into a trap." Albert Yarza, a lifelong Barca fan, remembers the anger. "Our reaction was incredulity, rage and disappointment because he was a star for Barca, a reference point for the club. Everybody loved him, but he played dirty. He lied to the people of Barca." The story that Figo might leave first broke on July 6, 2000. The daughter of Real Madrid president Lorenzo Sanz, Malula, was marrying Madrid defender Michel Salgado that day. In 1998, Sanz had ended the club’s 32-year hex by winning the Champions League—the club's great obsession—and he’d added a second crown a few weeks earlier in Paris. He was a shoo-in for re-election. The news that Sanz’s rival, Perez, was promising to bring Figo to Real Madrid disturbed the wedding celebrations. Perez had done his homework. He polled Real Madrid’s members and asked them which player they most wanted if they elected him president, per John Carlin's book White Angels. Their answer was Figo. He was a phenomenon. According to former Real Madrid captain Manolo Sanchis, Figo was his stiffest opponent, even more of a handful than Maradona. "I remember before Figo arrived in Barcelona, I faced him in a match against Sporting Lisbon," Sanchis told Bleacher Report. "He was very young, like 18 or 19, and nobody knew him. He came to the Bernabeu and he gave us a 'bano,' a thrashing. I said, ‘Who is this guy?’ All by himself, he drove us crazy, dribbling us. He was a tremendous player, a crack." Sanchis cites Figo’s balance first: He was capable of dribbling without touching the ball and had a tremendous feint. Second, his ability to create goals: As soon as he got an inch, he was capable of putting through "a goal ball"—an assist. Third, his capacity to score: Every year, he racked up 13, 14 goals, which for a winger was notable. Fourth, he had resolve: "You never saw him—not for a second of a match—scared or anxious," Sanchis says. "He came at you again and again. He was mesmerizing. And he did it in every match." Perez made his pitch to the club's electorate. He told Real Madrid’s 83,967 members registered to vote in the election that he would pay their membership fees the following year if he failed to sign Figo, according to Alfredo Relano's book Nacidos Para Incordiarse. "The pledge he made to Real Madrid’s fans was intoxicating," says Diego Torres, a journalist for El Pais in Madrid. "This promise fulfilled all the superpower fantasies of Madridistas. Will he destroy Barcelona with a single cheque? They didn’t give a s--t for Lorenzo Sanz and his European Cups. "Real Madrid fans didn’t want to buy Figo to love him...[they were thinking] ’No, we will buy one of those Cules just to prove to ourselves that we can do it, to exercise our power, but deep inside we despise this guy because he’s a traitor. We will buy him just for the sake of f---ing the opposition.'" The next move for Perez was to find a go-between, and Paulo Futre, who won a European Cup with Porto in 1987, served the purpose. Futre offered Perez the opportunity to make an agreement with Figo. If Perez won the election and Figo refused to leave Barcelona, Figo would pay a penalty fee of 5 billion pesetas (around £22 million or $34 million). If Perez lost the election, Figo would keep 400 million pesetas (around £1.7 million) and no one would be the wiser. It was money for jam. Meanwhile, Perez deposited 10 billion pesetas (£44 million), which was the value of Figo’s buyout clause and a world-record transfer fee, at the Spanish Football Federation. Then Perez waited for word to get out, per Relano's Nacidos Para Incordiarse. When the story of the secret deal was leaked to the press, Figo denied signing any pre-contract. "I’m not so mad as to do a thing like that," he said in a famous interview with Diario Sport's Tony Frieros while on holiday in early July, per Sid Lowe's Fear and Loathing in La Liga. "[Figo] couldn’t acknowledge the agreement because it was a conditional contract," says Minguella. "If Florentino didn’t win the election, Figo was still a player for Barca. He couldn’t acknowledge the agreement with Florentino because he would have been killed here in Barcelona." Several factors played into the hands of Perez. Because he was only a presidential candidate and not officially attached to the club, he could not breach FIFA’s rules regarding player contracts with a rival team by negotiating the conditional deal with Figo’s people. Coincidentally, there was also a presidential election in Barcelona that summer that created a vacuum of power. Figo was looking to renegotiate his contract with Barca. His agent, Jose Veiga, travelled to Barcelona three times to negotiate a renewal. Minguella collected him at the airport for some merry-go-round negotiations. "I was there with him," Minguella told Bleacher Report. "Veiga talked to the presidential candidates for Barcelona, Joan Gaspart and Lluis Bassat, as well as the outgoing president, Josep Lluis Nunez. Veiga told them, ‘We have this offer from Florentino Perez. If you improve Figo’s contract with Barcelona, he is not going to sign with Real Madrid.’ But he found a void." None of them could sign anything for Veiga. No one could offer Figo a better, concrete offer because none of them had the presidential seal of office. Gaspart, the favourite to become president, promised Veiga that he would improve Figo’s contract once he was elected. "In the end, though, it was a firm offer with money from Florentino against a future promise from Gaspart," says Minguella. "They took Florentino’s offer. And in accepting Florentino’s offer, they always kept in mind the belief that Florentino wasn’t going to win." Sanz, Real Madrid’s incumbent president, dismissed the story of the secret deal, according to Lowe's Fear and Loathing in La Liga. He said Perez would probably announce the club had signed former supermodel Claudia Schiffer next. At the election office Sanz had set up by the Bernabeu stadium in Madrid, which doled out trinkets to supporters like a U.S. presidential campaign, a looped video played. It showed footage of Figo on the balcony of the city hall in Barcelona, with his hair dyed blue and claret, goading Real Madrid's fans after Barca’s latest triumph by chanting, "White cry babies, salute the champions!" Then it happened. Perez—who had also campaigned on a pledge to tidy up Real Madrid’s finances after the club leaked €50 million losses on a turnover of €120 million that year, per research for my book El Clasico—was announced as president on July 16, 2000. He won the election by a few hundred votes. Six days later, Gaspart was elected president of Barcelona. Figo knocked on his door. According to Gaspart, the Portugal international begged him to undo the deal with Perez, stressing that his agent, Veiga, had been outwitted and was "suicidal" with worry. "It was a surprise Florentino won," says Ramon Calderon, who worked as a director under Perez for six years and later was Madrid president from 2006 to 2009. "There were two or three days with a lot of confusion. Veiga tried to give back the money [to Perez]. Veiga had a big penalty clause so he said to Figo, 'If you don’t accept this, I’m going to be bankrupt. I can’t pay. I’ll be ruined.' I imagine it was like that." It was Gaspart’s first day in the job. He was powerless. What was he to do? Pay the penalty clause so Real Madrid’s members could watch football for free at the Bernabeu the following season? Perez had outmaneuvered Figo, who let his agents act for him. "You have to know what your agent is signing on your behalf, which is one of the basic rules of representation. Otherwise you can be [compromised] or get involved in something very uncomfortable for yourself," says Ivan Corretja, who works as an agent for Xavi Hernandez and several of Barca’s current players. "I think he was taking everything like a joke: 'Ah, come on. This is impossible. This is not going to happen.’ But it was very serious. It was not a game. It was his profession, his life." Figo would have to play the cards that were dealt to him. He’d be playing his football at the Bernabeu the next season, although he did come back to Camp Nou to play occasionally. Figo returned to the Camp Nou almost three months later as a Real Madrid player. Bodyguards were detailed to look after him. The reception was toxic. Inside the stadium, fans screamed, "Die Figo!" A sound meter installed by Canal Plus television recorded noise levels higher than any nightclub in the city, per Steve McManaman’s book El Macca: Four Years with Real Madrid. Thousands of white handkerchiefs fluttered in the wind in a practice borrowed from bullfighting, suggesting that Figo should be killed. As he ambled around the pitch before kick-off, Figo plugged his ears with his fingers in a vain attempt to block out the hatred directed at him. He hadn’t helped matters, of course, by lending his name to a nationwide merchant bank’s advertising campaign in which he said, "Change is always good—if it’s for the better." During the match, missiles rained down on him, including coins, mobile phones, half-bricks and a bicycle chain, per Phil Ball's book Morbo. In a telling moment after the final whistle sounded, though, all of Barcelona’s players sought out Figo for an embrace. They saw him as more of an old comrade than the pantomime villain portrayed by fans on the terrace—and the press. The media’s treatment of Figo riled him in particular. "I didn’t care much for the atmosphere," Figo told Bleacher Report. "I knew it was going to be bad, partly because the media created it that way. Fans are people who don’t have their own opinions. Many times, masses are moved by the opinion of others—in this case, the media. It’s all about business. In the end, the press generated everything. I see it that way because the media always wants to take advantage of a situation. "In this case, the press heated the ambiance before the game. For me, despite the rivalry that there might be, football is a sport. Things shouldn’t trespass the limits of sport because if in any situation something else happens—if something bad happened—then people, the vast majority, would feel guilty, remorseful. I see it as a game of football. There’s rivalry, but this rivalry should not drift from the realm of sport into violence." Some quarters of the press in Catalonia were feeling guilty at their incitement. On the morning of the match, Alfredo Abian, deputy editor of the Catalan newspaper La Vanguardia, wrote an editorial titled, "Que Figo nos perdone," which translates to "Figo, forgive us." Salvador Alsius, the dean of the Association of Journalists in Catalonia, assembled a meeting of reporters and requested they tone down their assaults on Figo. He told them they were turning Camp Nou into a dangerous stadium, according to El Pais journalist Ramon Besa. "The atmosphere was more primal, the noise and the ruckus worse," says Yarza, who was behind the goal at the south end of the stadium for both matches. Paco Pavon played in Real Madrid’s defence for the game. He recalls the coach ride into the stadium before kick-off: "The police made a special passage for the bus as we entered the Camp Nou, 25 metres on each side. Still, fans threw glass bottles, stones, everything. They broke windowpanes, but the windows were double-glazed. We sheltered in the middle of the bus. It was like a cartoon: 'Look another missile is coming!' I remember on one side they threw a bottle, but the bus turned and the bottle hit someone on the other side of the bus." The game was a goalless, stultifying affair. Play had to be abandoned midway through the second half for 16 minutes because of the difficulty Figo had in taking corners. "I remember walking back to the dressing room, and some of the players, Fernando Hierro and Carles Puyol, were saying it was a disgrace, somebody had to calm the fans down," says Pavon. According to Salgado, one hooligan threw a knife at Figo as he went up to take a corner. As Figo went to take another corner, a fan threw a pig's head on the pitch. "Everybody remembers the match because of the pig’s head," says Yarza. "The Spanish media found it very offensive that someone would throw the head of a bloody, dead pig onto the pitch. But it was from a "cochinillo," a piglet, so it was smaller than the size of your hand. It was far more dangerous throwing a glass bottle of J&B whisky, which had to come from the Tribuna, the expensive seats. You couldn’t get past security in any other part of the stadium with a glass bottle that size." Perez used Figo as a Trojan horse to get into Madrid's "White House." Once inside, his big plan was to cash in on the club’s marketing potential. The year before he took office, the club failed to sell out the Bernabeu for 17 of its 18 home league games. He immediately made sure to fill the seats in the stadium. Figo was the first player of the Perez Galactico project. Others followed, including Zinedine Zidane, the Brazilian Ronaldo and, most contentiously of all, David Beckham. The Englishman was favoured over two-time Ballon d’Or winner Ronaldinho because the Brazilian was "too ugly," an apparatchik of Perez told Torres. Perez's idea was to create excitement, or "ilusion" as he calls it, around his galactic stars’ orbit, and to hawk merchandise—and TV broadcast deals—on the back of their allure. When Figo arrived at the club in 2000, for example, he agreed to part with half of his off-field earnings, so 50 per cent of the cut on every shirt sold with Figo’s name on its back and every endorsement deal Figo’s agent made for him went to Real Madrid, per McManaman’s El Macca. It’s an arrangement that still exists for Galacticos such as Gareth Bale and James Rodriguez, who signed for Perez over a dozen years later. The deal helps pay for their exorbitant transfer fees, which are typically paid to the selling club over a number of years. His marketing strategy has been a business success. The club has topped the Deloitte Football Money League every year for the last decade. As well as buying star players, Perez uses the club’s growing revenues to revamp the Bernabeu and spread the club’s appeal around the world. The latest $320 million upgrade to the Bernabeu will be complete in 2018 and will hike matchday income to over $220 million a year, as per Tales from The Secret Footballer. 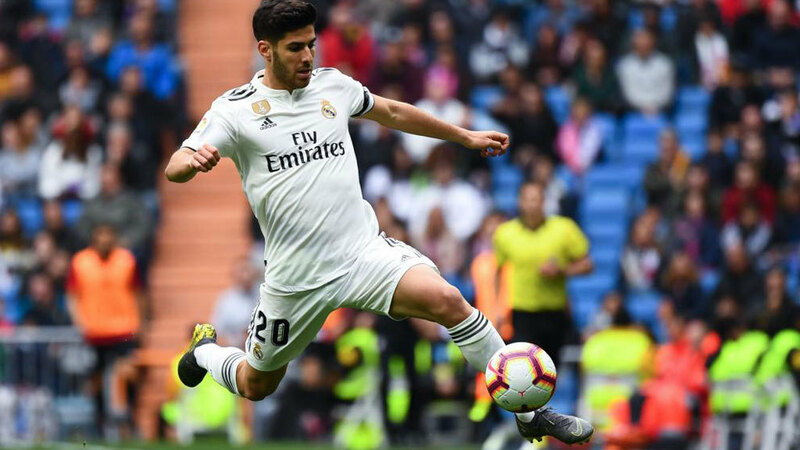 The controversial introduction of kick-off times at midday was set up a couple of years ago to appeal to Asian TV audiences, which make up more than half of Real Madrid’s global fanbase. The thrill that another Galactico signing generates, for season-ticket holders and overseas fans watching on television, ensures the circus remains must-see viewing. "It’s a good idea to create that excitement," says Calderon. "I was in Harvard University as a visiting lecturer to MBA students. They have studied it for the last 10 years. You need to buy players to create expectation in the brand. It’s a virtuous circle. You have to feed it every year—to make brands attractive, to have players’ names on shirts, to create glamour about the club." The paradox for a club of Real Madrid’s stature and glittering history is that success on the pitch has been fleeting during the Perez Galactico era. Individually, his marquee signings have done well. Figo’s move caused a shift in the balance of power. Real Madrid won La Liga in 2001. Zidane has been immortalised in club folklore for his winning volley in the 2002 Champions League final. Bale, too, will forever be remembered for his galloping goal of genius in the 2014 Copa del Rey final and for his decisive goal in that year’s Champions League final. The Brazilian Ronaldo scored two goals every three games during his time at the club. Cristiano Ronaldo has been a goalscoring machine during his six years at the club. James Rodriguez was scintillating last season. Even Beckham endeared himself to the Bernabeu because of his fighting qualities. Only Kaka and Robinho have been noticeable failures at the club. However, after initial success under Vicente del Bosque, Real Madrid managers have struggled to make Galacticos the driving forces behind serial-winning teams. The team’s middle class—notably Claude Makelele in 2003 and Xabi Alonso in 2014—have often been sacrificed to balance the books. Madrid have won only three league titles under the watch of Perez since 2000, a poor return. The tally is only one if you exclude two league titles won by Del Bosque, a manager who Perez inherited and subsequently fired because he wasn’t "modern" enough. Perez's interference in the running of the team confounds commentators. During one three-year spell, he fired six coaches, four directors of football and offloaded 20 players. Calderon puts Perez's meddling, Dr. Frankenstein complex down to his engineering background. "He has always said that an engineer like himself would be the best coach. He doesn’t believe coaches do anything for a team. That’s why he changes them quite often. ... Florentino thinks he can transport their way of thinking to football. "He interferes all the time. He is obsessed that Casillas is not the right goalkeeper for Real Madrid. He was obsessed with getting rid of Raul also. Or playing Bale, Benzema and Cristiano together. I’m sure the president said they must play even if the coach last season doubtless thought a 4-3-3 system wasn’t the best one for the team." Perez declined an interview request with Bleacher Report. "The president does not give interviews to individual members of the press," came the reply from Real Madrid's press office. Figo says he moved clubs to get better money and to win more titles. This he achieved. He won two league titles and a Champions League trophy with Real Madrid before leaving the club in 2005 for Inter Milan. Barcelona went into free fall after his departure. They splurged the money banked by the Figo deal on six players, including Marc Overmars and Emmanuel Petit from Arsenal, who failed at the club. The loss of Figo was a trauma that lasted for three trophyless seasons. It seems Barca’s hierarchy was more interested in hounding Figo than in sorting out the club's internal problems. Barca recovered their mojo during Joan Laporta’s tenure as president. Laporta signed Ronaldinho in 2003, and the Brazilian’s exuberance and his pivotal role in helping Barca win the 2006 Champions League title restored some light to Camp Nou after the loss of Figo. Barca fans saw Laporta’s acquisition of Samuel Eto’o, a cast-off from Real Madrid’s youth academy, from Mallorca as a measure of retribution for the filching of Figo. Eto’o became a talisman at the club and a prolific scorer. While Laporta was president, efforts were made to reconcile Figo with the club because of concerns from Portugal’s prime minister. Figo complained that he was unable to go to Barcelona—where his wife had a Japanese restaurant, which she had to shut down—without getting harangued in public. Attempts to arrange an act of public reconciliation between Figo and Laporta came to nought, however, because Laporta insisted Figo ask for forgiveness first, according to Besa. "It is a shame that someone like Luis Figo, an exceptional player and person, who was an icon at the club, cannot live in Barcelona ever again because he is not welcome here," says Corretja. Despite all that, Figo says he has no regrets about his decision to cross the great Spanish football divide. He looks back wistfully on those torrid nights he played in a Real Madrid jersey at Camp Nou. "In the moment, one sees that it is a unique experience," he says. "I don’t think there’s another athlete that has played with a hundred-thousand-something crowd against him. It’s good to remember that." Richard Fitzpatrick is based in Barcelona and the author of El Clasico: Barcelona vs. Real Madrid, Football's Greatest Rivalry. He contributes regularly to the BBC, New York Times, Irish Examiner and Irish Times.